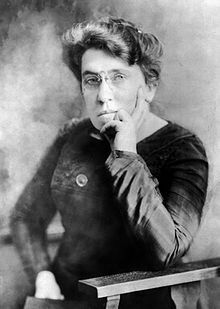 Emma Goldman (Juin 27 [O.S. Juin 15], 1869 – Mey 14, 1940) wis an anarchist kent for her poleetical activism, writin, an speeches. She played a pivotal role in the development o anarchist poleetical filosofie in North Americae an Europe in the first hauf o the 20t century.